Found 16 file extension associations related to Qt SDK and 13 file formats developed specifically for use with Qt SDK. 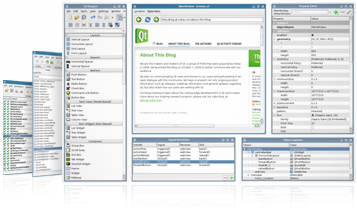 Qt is a cross-platform application and UI framework. Using Qt, you can write web-enabled applications once and deploy them across desktop, mobile and embedded operating systems without rewriting the source code.The Qt SDK includes the tools you need to build desktop, embedded and mobile applications with Qt from a single install. This is the recommended way to get started with Qt. The latest SDK has a self updater feature that will keep you up to date as new versions are made available. If you need more information please contact the developers of Qt SDK (Digia Oyj), or check out their product website.